Our eGlass Vision™ system inspires an impression of invisibility. Offering the least obstructed view, this frameless glass railing option replaces traditional horizontal rails with small clamps attached to aluminum posts. 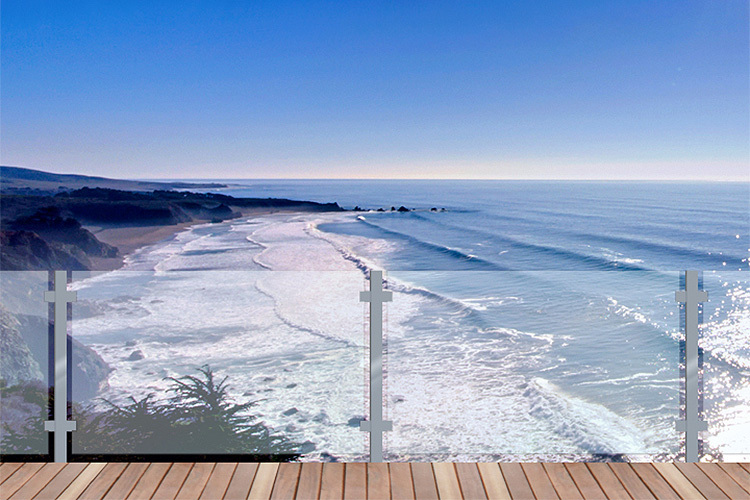 Designed to keep your focus on an uninterrupted view, eGlass Vision™ removes the top and bottom rails from your sightline, creating a view that is like having no railing at all.